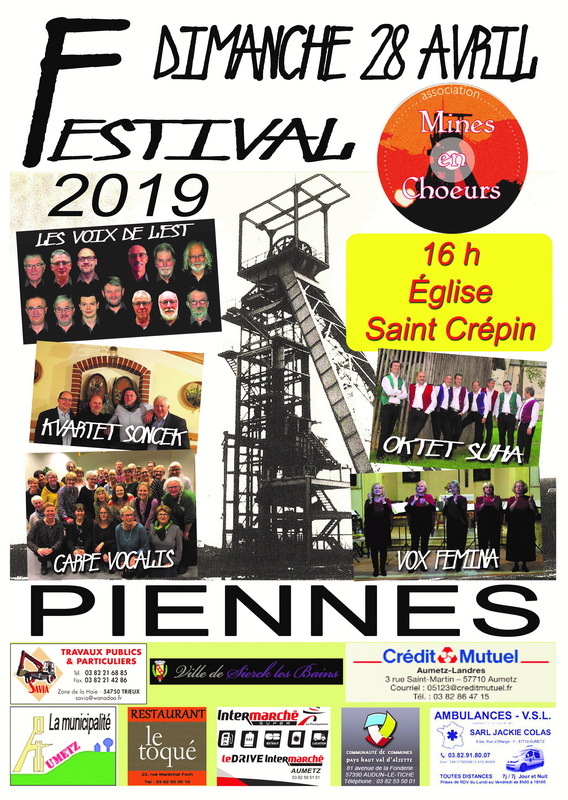 After the success of our seventh Choral Festival in April 2018, the Festival committee and Les Voix de l’Est Choir members are pleased to announce that the next Mines en Choeurs Choral Festival will take place on Friday 26 April to Sunday 28 April 2019. 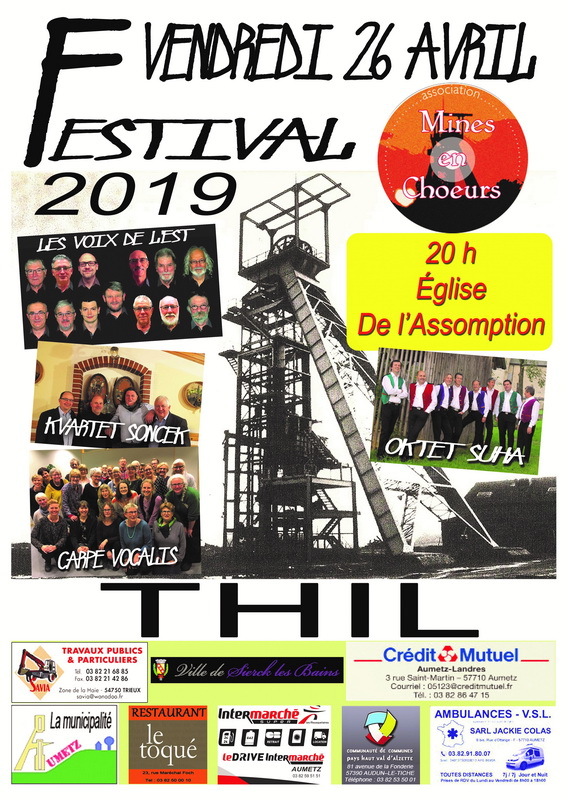 We invite both national and international choristers to come and join us for a weekend of song. 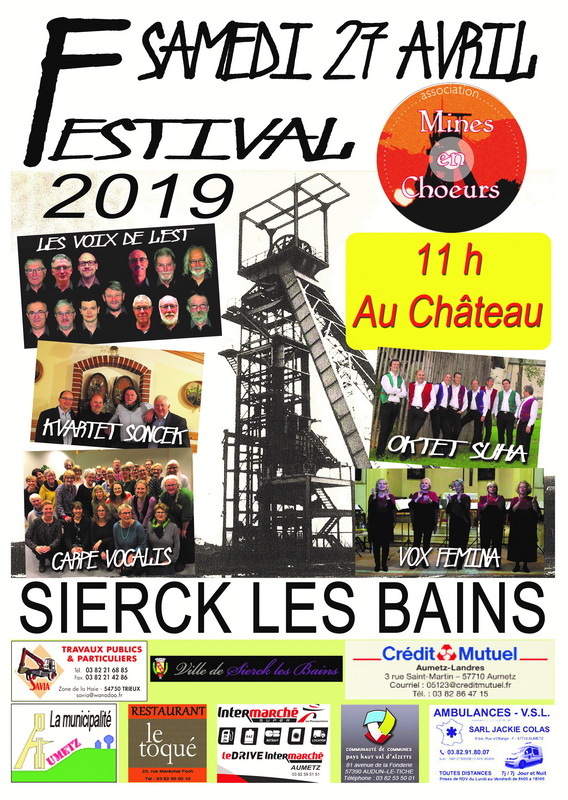 Our programme of events for the weekend consists of concerts and song in a variety of venues combined with opportunities to discover some of the cultural and historical aspects of our our unique and interesting town and surrounding areas and to experience the warmth and friendliness of our people. 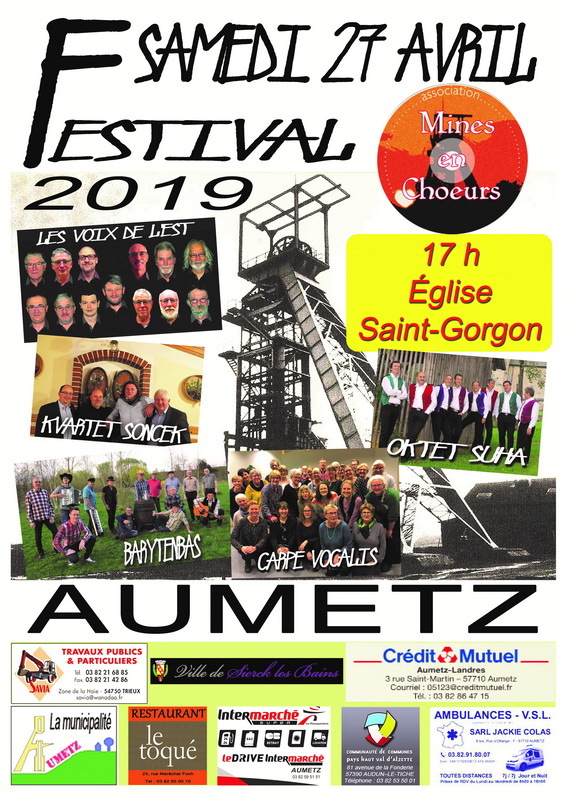 We therefore invite you to share three unforgettable days with us in the company of singers from a different nationalities and backgrounds but with a common interest in music. Should you decide to join us it will be our honour and privilege to extend a warm welcome to you and to ensure that you have a very enjoyable and happy time in our company. Should you require further information do not hesitate to contact us.